You are here: Home Should I draw down my RRSP before taking my pension? From time to time on this site I write about having “enough money” for us to retire on, or at least, to semi-retire on in the decades to come. Determining our “enough number” would be easy if everything in life was fixed but things are always subject to change. To paraphrase Dwight D. Eisenhower, this makes the following extremely important when it comes to financial planning: plans are worthless, but the process of planning is everything. If you’re like me, and you’ve been planning for retirement, you’ve been making diligent contributions to your Registered Retirement Savings Plan (RRSP). In my opinion this is one of the best ways any Canadian can grow their wealth tax-deferred. I’m also fortunate to have a defined benefit workplace pension plan. I’ve been contributing to that plan for about 16 years now. Thanks to a reader question today, I’m going to cover the blogpost title question and share a handful of initial considerations I’ve pondered when it comes to drawing down my RRSP before taking my workplace pension. Here goes. Consideration #1 – what income do we need? Contingency fund, including any healthcare insurance premiums ($600 per month). Consideration #2 – what is the viability of the pension? My workplace pension is associated with other major public sector pension plans (such as CUPE, OPSEU, ONA) although I’m not a unionized employee and never have been. Given the pension plan construction, this makes the viability of my defined benefit plan rather secure. This pension is a great form of fixed income. This is why I take on more equity risk in my personal portfolio. Unless the unionized pension plans, as a collective, undergo sweeping changes in the coming years (anything is always possible) my vested assets are expected to payout a predictable monthly sum – the premise behind any defined benefit pension. Consideration #3 – what might the pension income be? Based on the calculations I’ve done recently, assuming I work with my employer until age 55 AND I take the earliest possible retirement date of age 55, the monthly pre-tax pension income will be about $2,600 per month indexed to inflation (in future dollars). Based on the expenses highlighted above, this pension will cover a good portion of our basic housing and food expenses. It will not however cover all expenses so the shortfall must be covered by our own savings. A final point about the pension income: I am nowhere near age 55. There are no guarantees I will be working with my current employer until age 55 either. Employment is never guaranteed. Consideration #4 – what other income sources might we have? Ever since I read David Chilton’s The Wealthy Barber it reinforced the benefits of paying yourself first. My parents were strong advocates of this for me. In my 20s the RRSP contributions were rather lean but I made up for some lost time in my 30s. Now into my mid-40s, thanks to a few decades of paying myself first, I’ve maxed out all available RRSP contribution room. We’re optimistic if we continue to max out our RRSP contribution room, the combined value of these tax-deferred accounts could be close to $500,000 within the next decade. We could likely withdraw about $30,000 – $35,000 per year (before taxes) starting around age 55 and not fully deplete our RRSP accounts for 20-25 years; assuming the accounts grow at 6% on average per year and 2% inflation is applied to withdrawals. My wife and I have also been huge advocates and users of the Tax Free Savings Account (TFSA) since inception. With continued contributions and maintaining our investing plan inside these accounts, we’re optimistic both accounts (combined) could be north of $200,000 in the coming five years. The income generated from that capital could be withdrawn tax-free, at an amount close to $10,000 per year for life. Last but not least there are also government benefits in our future in the form of the Canada Pension Plan (CPP) and Old Age Security (OAS). We figure very conservatively CPP will pay us about $10,000 per year (combined) at age 60 and OAS will pay us another $10,000 per year (combined) at age 65. Adding all this up, we are conservatively expecting to earn roughly $40,000 pre-tax from our portfolio starting around age 55 and earning another $20,000 per year (pre-tax) in our 60s without touching my workplace pension. Given the income we need, the viability of my defined benefit pension plan, the fixed income it will deliver at age 55, and the other assets we have that should continue to grow, I have concluded we might be in a position to drawdown our RRSP assets in our 50s – therefore deferring any workplace pension income until a later date. This is by no means a final decision on this matter. Nor does this verdict include other worthy considerations, such as income from our non-registered assets; opportunities to work part-time in our 50s and 60s, and other assets held. There are no detailed tax calculations here either – just back of the napkin kinda stuff. I hope this post provided some insight into what my good reader might want to consider for their financial situation. All your financial mileage may vary. 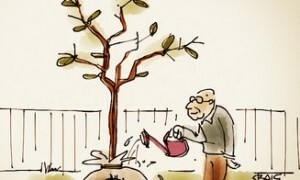 What are your thoughts on drawing down your RRSP? If you are already retired, what do you make of my few starting considerations above? What did you decide to do with your RRSP? 39 Responses to "Should I draw down my RRSP before taking my pension?" I may be reading this incorrectly but the only reason to defer a workplace pension is to avoid any penalties for taking it. I am assuming that at age 55 you are entitled to a pension without penalty and the question is about leaving work before that time. I had intended to have the option to “retire” at 50, defer my pension to 60 and draw down the RRSPs. Our pension had a 5% cut for every year I was under 55 so actually taking the pension with 25% penalty would be too onerous. As it turns out, due to family medical issues, I felt it was prudent to continue to 55 and preserve the RRSPs as much as possible. Since retirement, I withdraw an amount to ensure that I get at least to the 42K tax bracket figure so that it can come out at a substantially lower bracket than it went in at but I don’t lose any sleep if I go into that bracket a bit. It’s still taxed at a lower rate than what it went in at. The “plan” recently changed again and the RRSPs are not as needed as they were so I’ve changed tact again. All in all I think you have an excellent handle on where you are at and where you’d like to be. Having the options available to take different paths as you see fit is the best position to be in IMO. Well done. Not reading it incorrectly at all. There are penalties involved for taking my pension early, at 55, the earliest I can which means there is a significant jump in pension income if I were to work until age 60; almost 20 years from now. I recall the pension income goes to about $4,400 per month all things being equal. 5% cut per year before age 60 sounds about right; I recall that is typical. If we decide to move, see housing dilemma, my sense is I will need to work until age 55 and preserve the RRSPs. I guess I was reading it incorrect. I assumed at 55 you could get your pension penalty free. If you have to wait until 60 to get it penalty free, and you still want to retire at 55, then using your RRSPs for income and deferring your pension is a valid move. Having said that, there are wide variances in pension plans with regards to age, years of service and penalties. One should either be very familiar with their plan or seek out expert advice on it. Of course, upon reaching 55, one can usually choose to “stay another year” if one is so inclined. Every month would increase years of service and decrease the potential penalty. At some point a tipping point would be reached and the proverbial plug could be pulled. In my case, at 55 I had my maximum 35 years of service and age requirements, so staying wasn’t really accomplishing much and there are younger folks that could use the job. The pension literature I have is a bit misleading since there are penalties involved but the reality is, you get what you’ve paid into it – age 55 or 57 or age 60 or whatever else. I largely trust their calculator since current contributions (employee and employer) are north of $400k – so that right there assuming 4-5% yield = $16k to $20k cash for life per year. Slight thread drift but here’s a little pushback on your “itsgottabedividends” convictions. No push back really – dividends are always part of the total return equation. I just so happen to like them in my pocket more than the hope of capital gains for all my assets. So, yes, I could hold indexed only products and sell some assets from time to time or I could own stocks that reward shareholders via dividends and use that income myself vs. the business. I actually prefer a mix of both dividend stocks and indexed ETFs. Thanks Jerry! I’m in the same boat as you, Mark, with RRSP assets plus a pension to consider in retirement. Early retirement makes for some interesting choices and I don’t see any way around tapping into my RRSP before 65. Lots of unknowns still, health, wealth, and otherwise, so ask me in 10 years and I might have a different answer! I think if you have a pension, it might make great sense to withdraw from RRSP between ages 55-65 and then delay those government benefits. The pension is a great asset in that it can provide financial options – and I know I’m very lucky to have 16 years vested already. Could you not start withdrawing from the TFSA first between 55-65 and use your RRSP later deferring the tax even longer? Or is it a case that the TFSA hasn’t been around long enough so there isn’t enough invested to sustain more than a year or two worth of income and therefore completely draining it? Most likely we will retire before 65, hopefully before 60. Without any pension, I guess we will definitely drawdown rrsp before 65. I envy you and anybody with a defined pension. It’s not a gold-plated pension May but that’s really not the point. I am very lucky to have it. It should provide some financial options for us in the coming decade or so. We’ll keep saving on our own since there is no way to know what the future holds. We intend to max out our TFSAs in 2018 in another 6 weeks for an example. If I had to guess, we’ll probably start drawing down our RRSPs at age 55 – work up until then as much as we can either full-time or part-time – so another 10 years of employment to go in some shape or form. As a follow up to this article I suggest you explore the pro’s and con’s of commuting your pension before the age of 55. I did this last year and never looked back as the commuted value gave me something to leave my daughters (not sure if you have any children). Interestingly I asked my administrator to calculate the commuted value for me and they said kindly “no” unless there is an HR specialist involved as part of an involuntary or voluntary leave. Basically, we don’t provide that service unless we have to. No kids here but I would think commuted value would be modest after 16 years and a consideration if the choice was given to me. When interest rates are low, typically that’s a good time to consider this option. Thoughts? Also, one -ve for the commuted value is if the funds will/can be tax sheltered in an RRSP or RRIF or LIRA. Otherwise the portion is considered taxable income in the year it is received. For a large pension, this could mean a one-time taxable income event on several hundred thousand dollars – not ideal. How does your non-registered portfolio fits in all this? What are you planning to do with the dividend income from it? Good question Kevin. I’ve really got to sit down in the years to come and figure this out from a tax perspective. We have increasingly dividend income coming in and that’s a benefit for sure. Ideally I could see ourselves killing the RRSPs in our 50s and 60s, then using pension income as it is in our 60s + government benefits + non-reg. dividend income in our 60s to live from. We will wind down the non-reg. dividend income in our 70s. This leaves the TFSAs and the capital intact for “the end” – in our 80s and 90s. All this is just an educated guess at this time of course. In the coming years, the non-reg. dividend income will be about $10k per year. Maybe more by the time we retire or semi-retire. Interesting article Mark and you are indeed very lucky to have a defined benefit pension plan, something largely gone everywhere now except in the government sector. I think that in order to evaluate your options more effectively you need to clearly lay out your assumptions for each of the scenarios. You do give the assumptions related to the growth of your RRSP, but you did not clearly lay out the assumptions around the defined pension plan amounts. Nor did you appear to consider the growth of your CPP amount if you delay drawing it beyond 60. I believe the growth in the CPP benefit is 8% per year and is guaranteed, whereas the RRSP performance is not. So, depending on how much you need in the way of funding, you may consider deferring your CPP benefits to get a higher amount later. And, as everyone points out, that benefit is for life and it is indexed. In future articles I can do that Richard. Just was just a quick article to outline my basic assumptions and considerations. As I get closer to retirement age I will do more math. At this point my focus is on saving our X% for maxing out TFSAs and RRSPs and then having some fun with the rest (along with mortgage payments – not fun part mind you). When I approach age 50 in another 6-7 years I should have a much better idea where our assets are and what % of each I can use for meaningful income. Correct – depending on how much we need in the way of funding/income to cover expenses – CPP can be delayed. Great start Mark. Clearly you’re going to have many options available which is always a good thing. I agree with Richard that you’ll need to get into more detailed anlysis with precise numbers to make the best decisions for you overall and with RRSP withdrawal choices, including consideration of CPP delay. But it’s early days and you have plenty of years to review especially as the retirement window gets closer and more in focus. I am certain you’ll have this crunched and laid out for maximum benefit well before. From what I know of your situation and what you’ve posted it also seems you’re VERY conservative with your forecasts. ie CPP will likely be higher for you together especially if you do work to 55, OAS will be much higher ($14,051) unless clawback is issue, addition of your wife’s pension (other asset? ), addition of your unregistered assets income etc. My guess is it will likely be a no brainer for you to take healthy RRSP withdrawals whenever you employment income drops, delay time for your work pension, and probably even delay CPP to at least 65. Basically rely on more of your own assets early on to delay workplace/govt indexed FI. As you know I’ve been crunching these numbers a few years before retiring and in retirement- about 6 years overall now. It’s an ever evolving plan, with some choices we’re fortunate to have. My wife took the penalty and reduction on her workplace pension for health reasons. It’s more like tin or wood plated compared to yours, although we are very fortunate to have it. The rest of our cash flow is from unregistered dividends and RRSP withdrawals used to top up HISA cash wedge for discretionary spend and TFSAs. 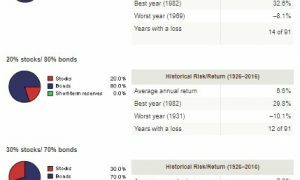 I started RRSP withdrawals at age 55, and expect to ramp them up even more to age 70, reducing when CPP starts and convert to RRIF expected to last to ~95. I’m leaning towards delaying CPP to 70 and taking OAS @65. But there’s lots of years ahead to see how investments perform, health stands up, and status of available govt benefits and taxes rates. Yeah, it’s early days, but I hope this post helped the reader a bit. There is certainly more to write about here and I’m sure I will at some point. Yes, I’m VERY conservative in my numbers. This post was written from my perspective about my pension, not including my wife’s DC pension plan. When it comes to RRSP withdrawals, I suspect around age 50 (if we have minimal debt) will the time we seriously consider what the RRSP withdrawal/pension/investment income mix should be to optimize taxes. I hope you’re right it will be a “no brainer” to take healthy RRSP withdrawals whenever our employment income drops, ideally to part-time from ages 50-55. Your financial discipline over the years now provides you with options in life – which is outstanding. I think if most Canadians can use their RRSP assets by age 70 or 75, and delay CPP and/or OAS – that is ideal because you are shifting the longevity risk from you to another provider (government) and you’ll still have your non-reg. assets as well. This is a nice balance in risk management. 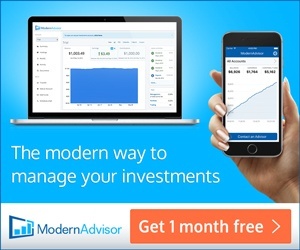 I read lots of articles claiming getting CPP/OAS early actually ends you better financially? Especially you don’t know how long you will live. I guess everybody’s situation is different and the conclusion is different too. Personal finance is personal, right? I read articles that suggest taking CPP early @60. I can’t recall any that have provided true actuarial figures that it is better for my situation. Most articles simply assume taking OAS @ 65 and don’t consider delaying that to 70. FYI, I have a spreadsheet for projected gross cash flows from all sources (work pension, investment income/capital, OAS, CPP) from now (age 58) to age 95. Thanks, RBull, you are very helpful as always. I will read the links you provided for sure. You are welcome. Please come back after reading and provide some feedback. Personal finance is personal for sure May. I continue to read taking it (CPP) early (age 60) is likely the best scenario for most Canadians given it’s money in their pocket. I’m sure this post and comments will help some others. Real world experience and planning examples along with feedback. I’m even more sure your sizable RRSP withdrawals will be a no brainer barring some change to your employment or other major financial issue. Hopefully not for either of us. Thanks. I’m not worried about melting down RRSP’s by a certain time frame. It’s very unlikely we will before age 70 given the large percentage of our assets in registered accounts and most importantly trying to “smooth income” and tax obligations over our expected lifetime. If not depleted by age 70 it becomes virtually impossible to deplete for many years after that given conversion to RRIF and % drawdown formulas, unless there are huge extended market melt downs. My LIRA was converted this year to a LIF with minimum draws which with very conservative assumptions and all FI will make it through to my 90’s. We’ll see. Lots can and will change. You’re totally right about the longevity risk shift to the government. I’ve come full circle on this over even the last 5 years as I became more educated on this. Looking forward to more discussion on your journey and sharing whatever insight/experience (right or wrong) we have. I just retired last year. I dont have a pension, but have RRSP, TFSA and a nonregistered investment account. I am in my early sixties. 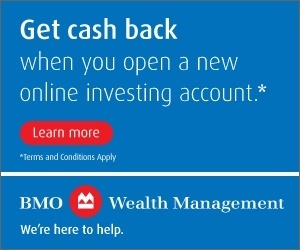 I am withdrawing from my RRSP first for two reasons: it is taxed as regular income, therefore the most expensive option, even if you stay in the lowest tax bracket; and in the event of my death my RRSP will be liquidated in that year and taxes fully assesed as regular income, which will be a detriment to my estate as I have no spouse. An excellent book on this topic is Your Retirement Income Blueprint by Daryl Diamond. It has answered a lot of questions I had about the transition to retirement. You look at your investments in a totally different way when you have no employment income. Thanks for the interesting blog posts. Keep it up please. Thanks for reading and commenting Jan. I agree with the RRSP, while an asset, is a future tax liability – which is why I will strive to withdraw from it in my lowest possible tax bracket. Too consider: CPP income and OAS Income. I do not know your family health experience but my spouse and I come from very different gene pools in terms of longevity as well as personal risk factors. I, fortunately from the fragile gene pool (who wants to be old? ), took both my CPP and OAS at 65, my wife will defer until she is 70 and still likely receive it for longer than me if pot odds hold. 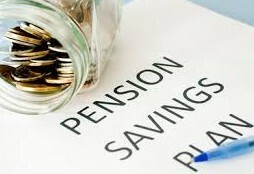 These pensions should be considered separately as OAS may also be subject to claw back. I should have deferred my OAS until the sale of my one and only rental property of 30 years. It sold recently at a considerable profit and the purchaser insisted on paying all in one tax year. Consequently the capital gains were significant even when shared with my wife, not a bad complaint to have. (Unfortunately they do not time adjust the purchase price 30 years into current dollars before calculating capital gains, which I think is somewhat unfair.) In brief, my OAS is in danger of being clawed back, something that I never foresaw because of a lack of planning on my part. Recommendation: Devise, model and test an RRSP withdrawal strategy in conjunction with all other sources of income for tax efficiency. If so indicated by the numbers, fight your “savor” habits of a lifetime and follow those numbers. By delaying as I have, not only will I be paying more in tax but my OAS may also be occasionally at risk. Worst yet, if I die with a large RRSP, I think that the amount all gets brought into play in my year of death tax return…(I know for you at 40, it may not be high priority consideration). There are many more individuals that I would rather see benefit than our Federal and Provincial administrators of the public purse. Lastly, retirement suits me, it is what I was made to do since my late teens. Assuming good health, curiosity and imagination, a great post retirement life needn’t be expensive. I retired at 55 and will likely leave behind far too much money, I can only conclude that I should have retired earlier. If it suits you, don’t delay too much, our infrastructure has a best before date. Bonne chance. Great point about the genetics Robere. My grandparents, except for one, didn’t live beyond age 70. That’s something when you think about it…I’ve got potentially only 30 years left to live. Morbid thoughts aside, I will likely devise an RRSP withdrawal strategy that takes into account all sources of income around age 55. Until age 50, it’s full-time work. Around age 50, from age 50-55, I will consider part-time work if the mortgage is dead and gone for good. “Assuming good health, curiosity and imagination, a great post retirement life needn’t be expensive.” Well said. It can be what you make of it – right? I think you’re smart to do that GYM. Never delay taking CPP. Better taking the money early or at 65. Why? because you start getting $$$ to either invest or live on and you know better what to do with the money than letting the Gov keep it another 5 years. Delay it to 70 – and die at age 60 and collect nothing! Best to pull $$$ out of RRSP first. (in most cases – if your not working). Any other questions? I don’t know about “never delay” but one has to be cognizant of the penalties for taking it early, the bonus for taking it later and the “drop out” issues. One almost needs a couple of Cray computers and a room full of accountants to figure out CPP. It would also help if we knew when we going to actually die. I wouldn’t agree with never delay. Hard and fast rules for something that has many moving parts to it due to an individuals personal situation isn’t practical advice. People need to do a careful evalution or their own financial situation, and longevity before deciding. Most people I’ve talked to don’t seem to spend too much time doing that. Most seem to take the bird in the hand, thinking only about getting their money back quickly even without considering longevity risk, breakeven analysis or maximizing their benefit = approx ages 78.6 and 82 – both less than “average” life spans currently. When you are dead at age 60 or at 65 and collected nothing will you care? I agree probably best to pull money out of RRSP first but for tax efficiency this can likely mean delaying CPP unless you registered assets are small to begin with and/or you retired very early. Again, this needs careful analysis by person. See my reply to May above. Good points for taking it early Mike. Hi Mark, have you considered the option of buying a Whole Life insurance policy to pay the tax due upon the death of both spouses? Since the balance remaining in your RRSP will be taxed at the marginal rate your estate could lose half it’s value to the CRA. This has been proposed to me from my advisor. Yes, it has been a consideration. Do you read this article on my site, the pros and cons of whole life? On death, there are some options for your RRSP. One consideration is the spouse as a beneficiary. This way, with a spouse that is listed as the beneficiary – the RRSP rolls over in the amount of the deceased’s RRSP into their own RRSP without any tax consequences. So, for planning purposes, it can be very wise to spouse as a beneficiary.